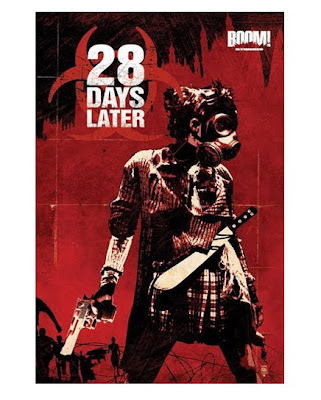 Forbidden Planet is currently running a contest for an autographed copy of the 28 Days Later graphic novel. The book is signed by script writer Michael Alan Nelson and artist Declan Shalvey. The only downside, Forbidden Planet is a UK-based company and therefor the contest is only open to UK residents. The graphic novel follows the story of Selena and connects the films "Days" and "Weeks". You tease! JK. I really wanted one. This post is perfect in order to get something really different I got excellent feelings with it I hope you posting more of these ones because I want to create my own blog Can I get some ideas from here? ?